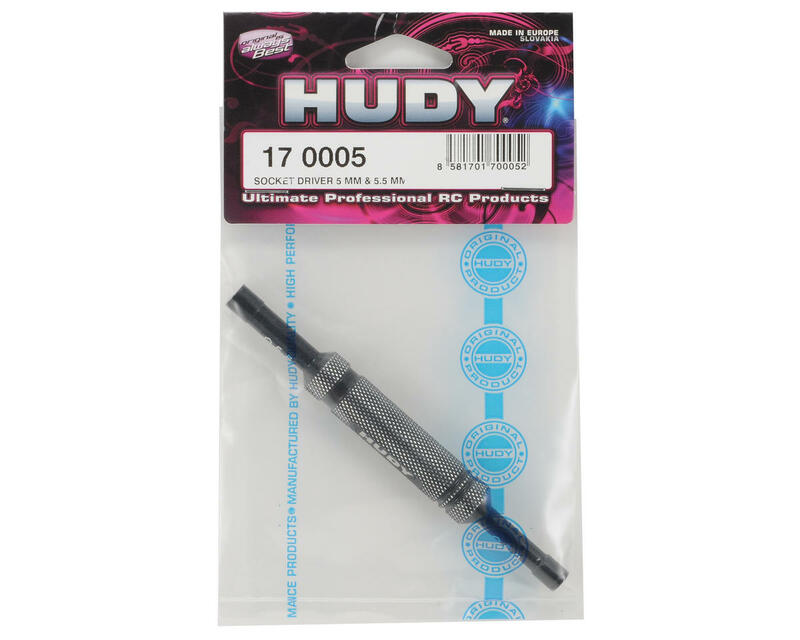 This is the HUDY 5.0mm & 5.5mm Socket Driver. 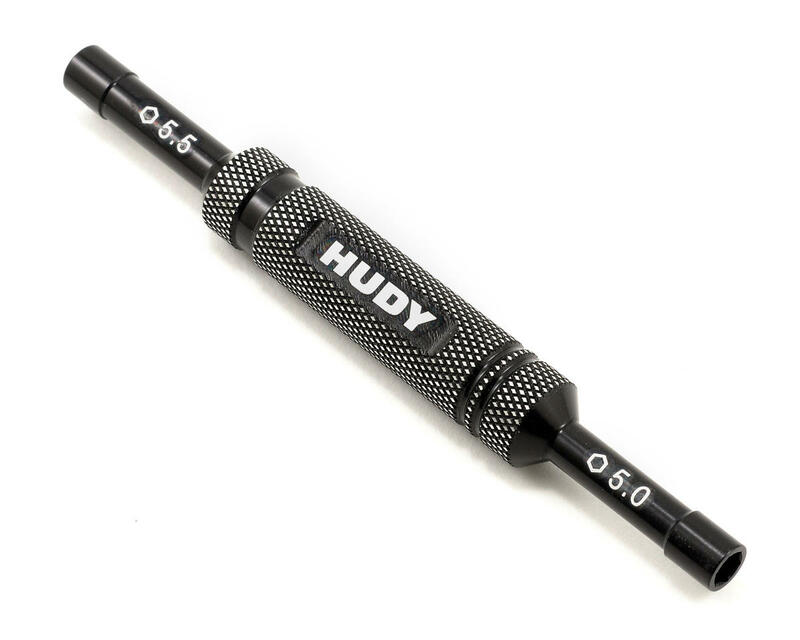 This lightweight, compact duraluminum tool is very versatile, and is bound to be a one of the most valuable tools in your toolbox. The 5.0mm socket is the best tool for tightening/loosening M2.5 nuts from off-road shock pistons. The 5.5mm socket is the best tool for tightening/loosening M3 nuts, such as those on the following: M3 nuts that secure off-road shocks to shock towers, M3 nuts that connect camber linkages with C-hubs and uprights, or any other application that uses a M3 nut..